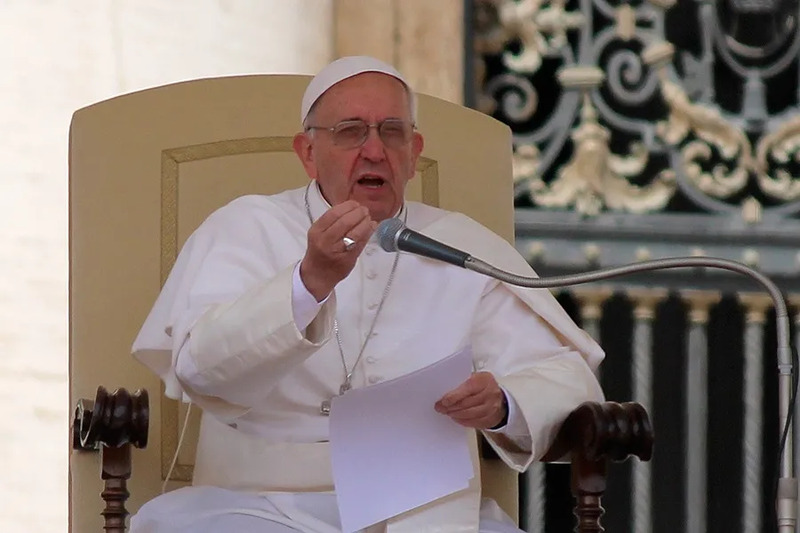 Vatican City, Jun 13, 2018 / 03:02 am (CNA/EWTN News).- Pope Francis said Wednesday that the greatest danger modern youth face is not the array of problems that surround them, but rather, the temptation to mediocrity – preferring to stay immobile rather than making a leap toward the next step. When Jesus asked the man to sell everything he had and give it to the poor, the man could not do it, and was forced to recognize that what he was able to give could not go beyond a certain margin. Francis offered his greeting to the players and organizers of the games, as well as those who will watch the matches on television or through social media. He prayed that the event would be “an occasion of encounter, of dialogue and fraternity between different cultures and religions, favoring solidarity and peace among nations. Vatican City, Nov 23, 2018 / 05:15 am (CNA/EWTN News).- The Vatican announced Friday Pope Francis’ selection for the organizing committee of the Vatican’s February meeting of bishops on abuse prevention. 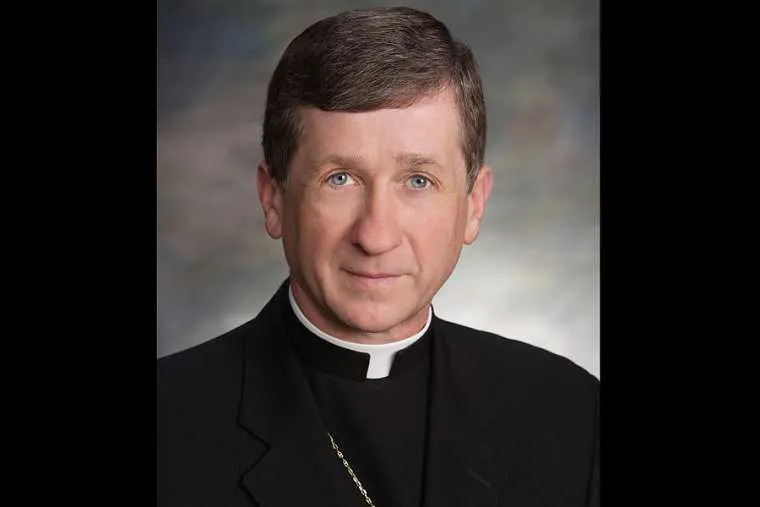 Among the group named is Cardinal Blase Cupich of Chicago. Cardinal Daniel DiNardo, president of the U.S. bishops’ conference, made the announcement Nov. 12, during the bishops’ fall general assembly in Baltimore. The instruction to halt the vote was given by the Congregation for Bishops. Vatican City, Jan 10, 2018 / 02:00 pm (CNA).- At a traditional new year’s meeting between Pope Francis and diplomats to the Vatican, the pope painted a picture of pontifical diplomacy around the globe: An international mission working to secure the common good, an always increasing network of relations, and the certainty of an impartial voice working for peace. The Pope’s speech sets the basis and the guidelines for the Holy See’s diplomatic activities during the year. If the guidelines are based on concrete issues, then pontifical diplomacy has three main threads —three themes that include all the others. The first is a commitment to peace; the second is a commitment to human dignity; and the third is a commitment to fight poverty. In the mind of the Pope, all three seem linked to one another. The Vatican’s commitment to peace is practiced via the art of mediation, and the Holy See has been a critical participant in the mediation of global conflict for decades. The Vatican’s commitment to human dignity is based on the principle that all people are equal and dignified in the sight of God. And the Church’s commitment to fight poverty is expressed in its diplomatic work for peace, international development, and support for marginalized. On that front, Pope Francis has asked who, in the end, is poorer than an unborn child, or than the forgotten or marginalized elderly. These three commitments will shape the Holy See’s diplomatic activity for the upcoming year. Within that framework, there are two clear priorities for the diplomatic work of the Holy See in the upcoming year. 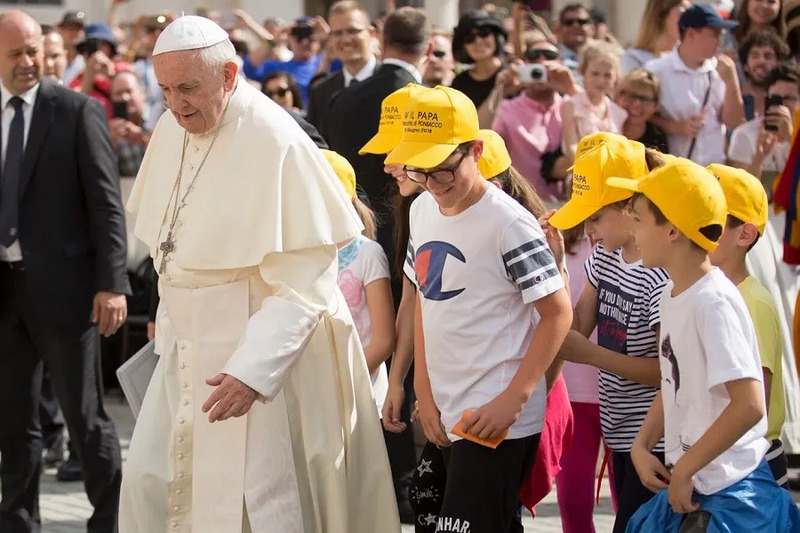 The Pope has made migration a core issue of his pontificate: he established a special section for Migrants and Refugee within the ranks of the Vatican dicastery for the Promotion of the Integral Human Development, and the Pope is personally chairing it. The theme for the World Day of Peace 2018 was “Migrants and Refugees: Seekers of Peace,” underscoring the importance the issue has for the Holy See. The second diplomatic focus is on peacekeeping. The Holy See is aims to helping and assisting countries in achieving peace. How does the Holy See carry on its commitment? First of all, with its work into the multilateral institutions, namely the United Nations and other global institutions. The Holy See Mission at the United Nations in New York provided data on the Holy See’s work at the UN during the last year. The Holy See at the UN in New York delivered 82 interventions, and 10 of them were delivered by Archbishop Paul Richard Gallagher, Vatican “foreign ministry,” who led the Holy See’s delegation at the 72nd session of the UN General Assembly in September. The Holy See Mission at the UN Office in Geneva, led by Archbishop Ivan Jurkovic, delivered 48 interventions, participating in many panels on the Global Compact on Migrations. The Holy See Mission in Geneva also represents the Holy See at the International Organization for Migration: the Holy See has been a member state of the IOM since 2012. Those are only examples of the Holy See’s considerable involvement in multilateral international organizations. It is noteworthy to remember that there is also a Holy See Diplomatic Mission in Vienna, accredited to the Organization for Security and Cooperation in Europe, and to other special organizations like the International Atomic Energy Agency, to which the Holy See is a member state and founder. No less important is the Holy See’s Mission at the Food and Agriculture Organization in Rome. Pope Francis has personally demonstrated that fighting world hunger is a priority to the Holy See. The Pope has visited the FAO headquarters two times, Nov. 20, 2014 and Oct. 16, 2017, and went to the World Food Program Headquarters June 13, 2016. In addition to that, the Pope symbolically donated $25,000 dollars to the FAO to support the Eastern African populations facing food insecurity and famine. The Holy See’s diplomatic network of bilateral relations also continues to grow.In 1900, only about 20 countries had diplomatic relations with the Holy See. In 1978 the number was 84; in 2005 it was 174. During Benedict XVI’s pontificate, six new countries were added to the list, and, under the leadership of Pope Francis that number has climbed to 183, with Myanmar, also called Burma, joining the list of states with full diplomatic ties with the Holy See. There are only 13 States who have no diplomatic ties with the Holy See. Out of them, 8 have no Vatican envoy: Afghanistan, Saudi Arabia, Bhutan, the People’s Republic of China, North Korea, Maldives and Tuvalu. The Holy See has apostolic delegates, not fully recognized as ambassadors, in four countries: Comoros, Somalia, Brunei and Laos. The Holy See has started negotiations with Vietnam to reach full diplomatic ties, and in 2011 the Holy See appointed the first non-residential Vatican envoy to Hanoi. The diplomatic efforts of the Holy See are considerable, and, as Pope Francis emphasized, committed to important and deeply Catholic international goals.